Olive oil from the Vallée des Baux is the pure concentration of Provence. More than a taste, it's a symbol, a culture as ancient as that of the vine! 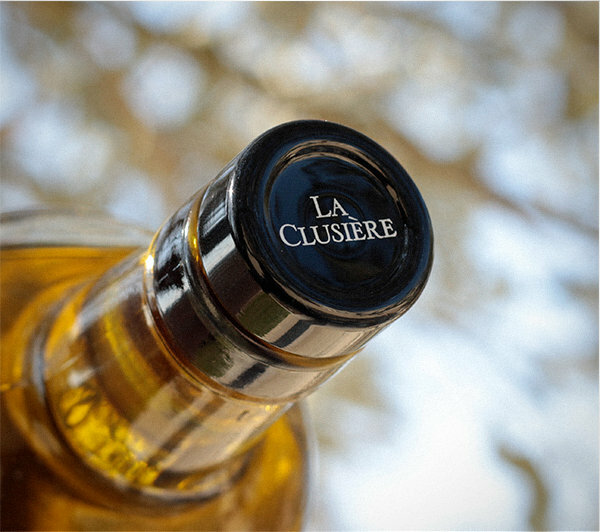 The name La Clusière perfectly expresses the site's geographical character, where olive trees are planted in a large canyon. Sheltered from the mountainous divide, these olive trees exist in harmonious balance with the scrubland, benefiting from a unique terroir formed by rocky, limestone scree and a particular microclimate where a persistent mistral promotes conditions for good, healthy growth. *La Clusière was a small winemaking estate surrounded by the Pavie vineyards which produced its last vintage in 2001; in response to our request, INAO authorized its incorporation into Pavie in 2002. The oil from Baux is distinguished by its blend of four principal olive varieties: La Salonenque, with its almond aromas; L'Aglandau (or Beruguette), lightly herbaceous with a touch of artichoke; la Verdale des Bouches du Rhône, contributing fresh hay and green apple notes; and La Grossanne, the black queen of the Vallée des Baux, to develop an entire palette of round and subtle aromas. 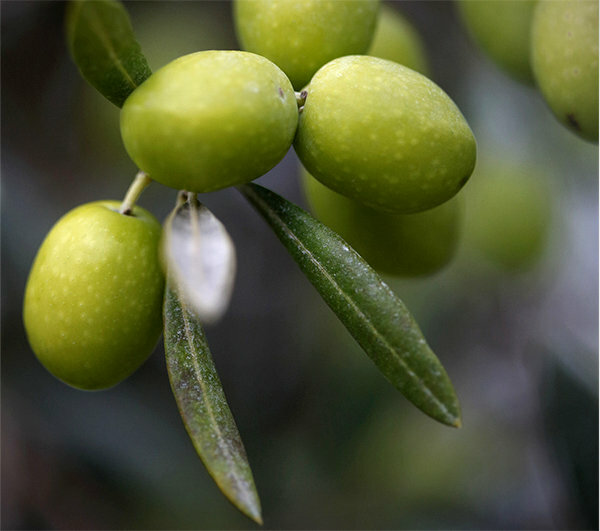 "As with winemaking varietals, the different types of olives present radically diverse dimensions of taste. Bringing them into harmony calls for the same art of assemblage as for wine and endows oil from the Alpilles with an inimitable flavor, showing both aromatic power and elegance of great finesse. This is the expression of terroir." Pruning lasts for three months (from March to May), followed by flowering. At the end of June, the flowers fall, giving way to minuscule green berries: the olives. The harvest takes place in late October-early November. Each night after harvesting, the olives are pressed at the Castellas mill, one of ten in the appellation. 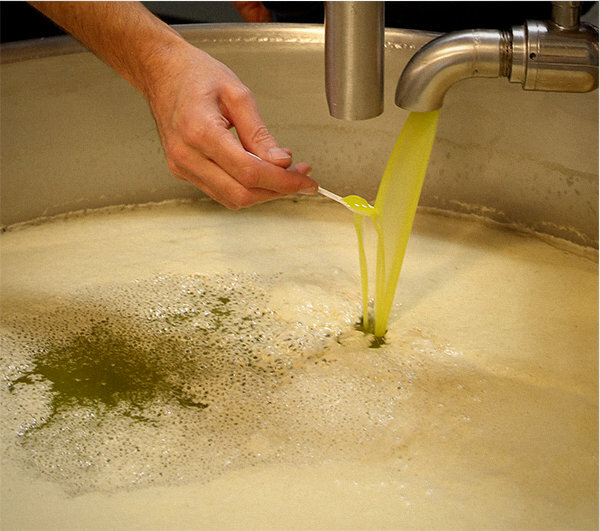 "As soon as they arrive at the mill, the olives are transformed into oil within 40 minutes. This avoids fermentation, and the consequent excess of acidity." Then the oil is stored away from light within stainless-steel vats. The non-filtered oil will rest all winter to naturally clarify and become limpid with time. 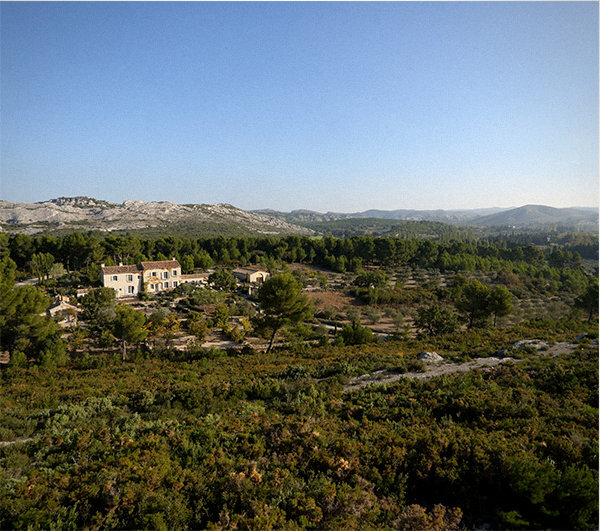 The Domaine's production is branded "olive oil from the Vallée des Baux de Provence".